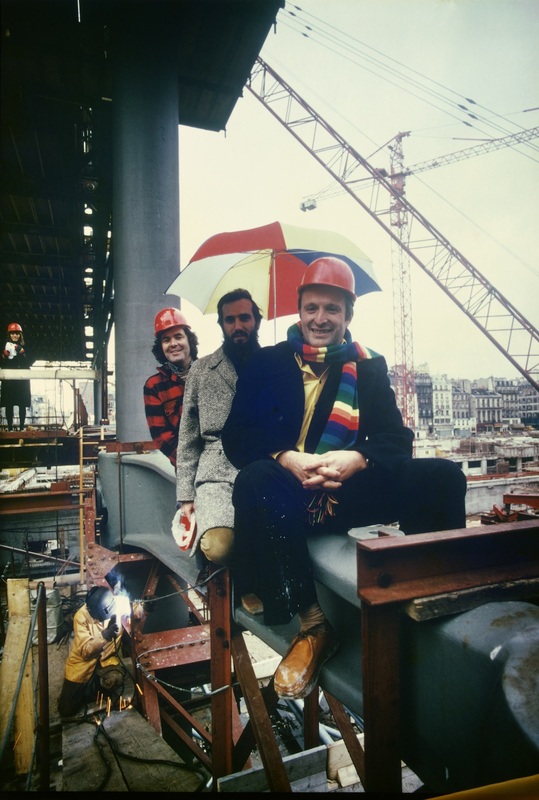 After recently publishing his book, A Place for All People: Life, Architecture and the Fair Society, Lord Richard Rogers sat down with The Architect’s Newspaper Managing Editor Olivia Martin to discuss modernity, cities, buildings, Manhattan, and his infamous sense of color. It could be contemporary. People get mixed up. 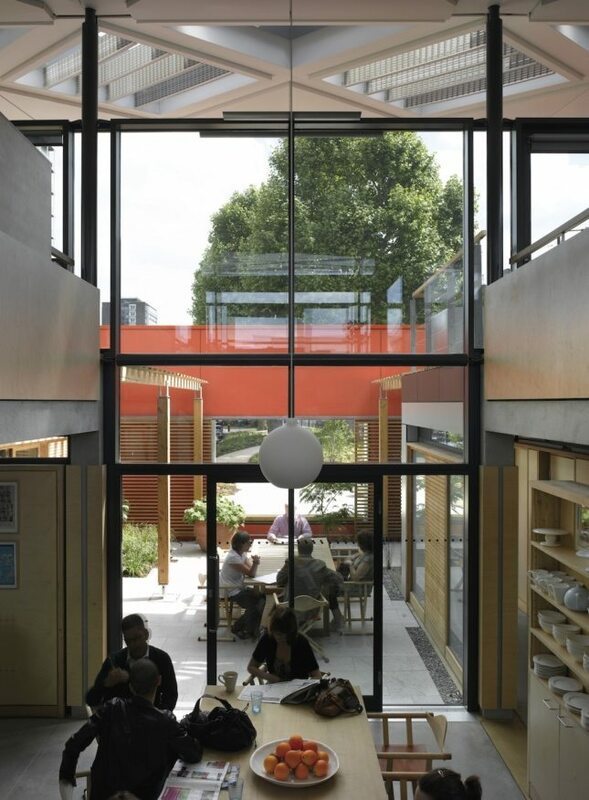 I always say everything is contemporary in its age—good buildings and good books, those are contemporary in their time and they tend to reflect the period… if you are lucky they get ahead of it, they push it a little bit. Good buildings are a reflection of their place, culture, politics. Modernism is more than a movement. 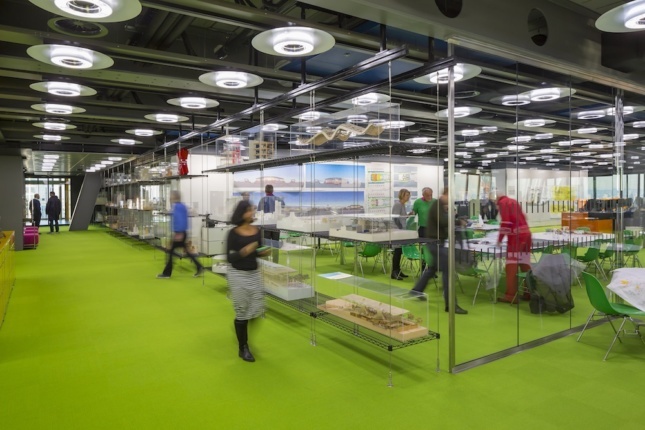 Did you always know you wanted to be an architect? Did you ever have any sort of ideological struggle with modernism? Well, I come from architecture. My cousin is a well-known architect. My mother was a potter and my father was a doctor and you put the two together and you get an architect. When I was young, I was less sure. But I went to Yale to do my graduate work and I had, without a doubt, the greatest architecture scholar ever: Vincent Scully. Nobody changed my life as much as he. And I was just stunned coming here [to New York City]. I was a Fulbright Scholar and we came over on the Queen Elizabeth. So I left Southampton, a sleepy town, where nothing is more than four stories high and people had their caps and bicycles. It was all very nice and English. Then I woke up early the next morning and looked out at the porthole and WOW. That’s the vision, out of all the visions I’ve ever had in my life, that has really stayed with me. It lifts me whenever I think about it. Wall Street didn’t exist at that point, so Midtown was the high point. It was fantastic, it blew my mind away. In terms of modernity, I’ve never had any problems with it. Modernity was born in that postwar period in the states. Chicago was fantastic and beautiful, but everything was happening here [in New York]. I have to say it’s not the same now; it has changed. Certainly we have gotten more used to it. Partly though, I think it’s because the most typical building in Manhattan is an office building and architects have done them so often they can do it with their eyes closed… Not all, you can’t say that, there are some amazing American architects. But there are quite a few. New York is on a grid and so you’ve got the grid, core in the middle, sometimes glass, sometimes stone, but all the same in variation. It is still a stunning city but it has lost that amazing shock that it once had for me. You have some very iconic building typologies, notably your penchant for an exoskeleton of sorts, could you discuss that? 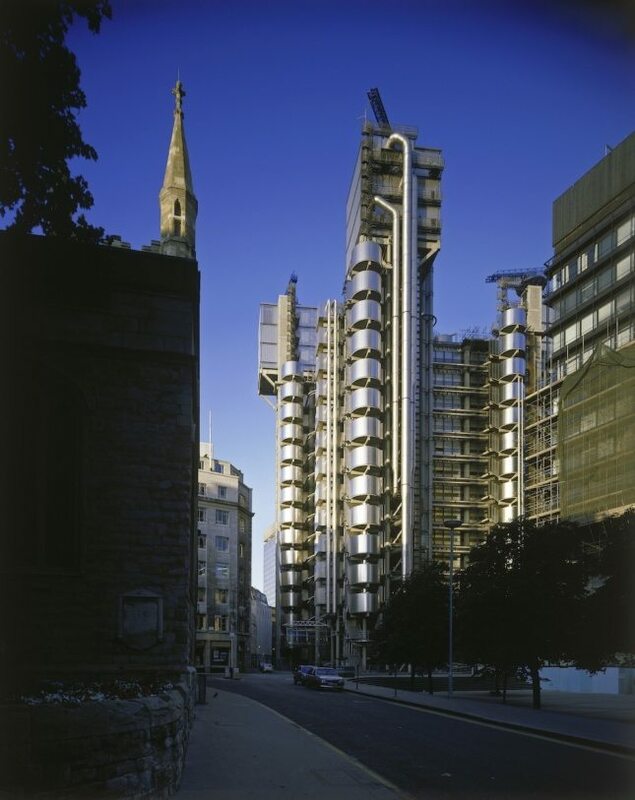 For Lloyd’s Insurance of London, we won the competition even though we had not built any office buildings before, which is amazingly daring. We said that if you put the core in the middle, you are putting it in the center where you want activity. We push it to the outside, which lets you play with form and light and shadow—which is what architecture is about. Otherwise, buildings are all flat. They are. There is no greater flat building in the world than the Seagram, so I am not saying that Mies isn’t great, I learned so much from Mies. But by articulating corners, doors… I like trying to put much of the workings on the outside because otherwise they get in the way. Any typologies you haven’t been able to realize? Oh many, many, many. I would say that now New York, which does have such stunning towers, is no longer cutting-edge… probably at cutting it in pure straight functions in dollars per square foot. That they are very good at. And obviously the people who run these jobs—we are just finishing now at Ground Zero—are immensely professional, but it makes life difficult for the architect when the client says, “I know EXACTLY what I want, more or less.” It often pushes the architect into a narrower response. If New York isn’t the most cutting edge, where is? Yesterday I was a judge of the Pritzker Prize and we made the choice—can’t talk about it. But, it was extremely interesting, the number of Indian architects and Southern American architects, there are architects dealing with problems like housing for the poor and working with immensely exciting new materials and places and responding to this. In that sense, it is better it is broader. I can phone and e-mail as easily as I can go next door. The digital is global. So on the one hand the world is getting smaller… Politically, well, let’s not discus it. So developing countries have better architecture? They have a better chance. Looking at your dress, it’s not about the most expensive, it’s about looking good, feeling good, and feeling it fits you. [Editor’s Note: My dress is from Zara.] I think there is more change now. My book is partly about inequality. In fact I suppose it’s a key piece of it and we are going through an amazingly unequal time. There is a greater gap in the GDP than ever before. The world is changing and becoming a micro-system and this has created tremendous political unrest. Another issue I talk about is sustainability. In architecture, it’s about loose fit, long life. Lloyd’s is an example of loose fit. They wanted a good building that would last them into the future. Since we built that, 50 percent of the city has been demolished and rebuilt because needs change. Energy systems change. Renzo Piano and I built the Pompidou Center forty years ago and the air conditioning system has changed, so we are in the process of updating it. So, there are still problems, but we don’t have to empty the building or start over, so they are better problems. I know you don’t love Los Angeles or Houston, or really any car-centric cities. But with autonomous cars on the rise, do you think those types of cities can evolve? Well, a sprawling city will consume three times more energy than a compact one. And if climate change is the most likely thing to really blow us up, that is something we should pay attention to. Of course if you want to live in the countryside you should live there, but in energy terms, it is more efficient to live in the city. People also like to see other people. I know lots of people in Los Angeles who like it, so this is not the law, just my opinion. I love bumping into people and the piazza and I think that is such an important thing. I have a piazza in my house. It’s a really good square where you can be on your own with your thoughts or with other people. Plus, not everyone has access to a car, even in Los Angeles. Many cities now, including London, are making the streets smaller, more friendly to the non-car. We still need better transport, it’s not as good as it should be. I can’t do that. I can talk about types of buildings. Yesterday I was outside the Seagram Building, it is still a fantastic building. I learned two things during that period in the States. I learned a lot from your industrial plants. I loved to see how very flexible and dynamic they were, not just a square box with windows in it. Why do we encase structure? If you want to change it, then you have to rip it up. Air conditioning, for example, is changing at a fast rate. Buildings have to be able to respond, so I look for responsive buildings and industrial buildings. I also studied the Case Study houses in Los Angeles. They taught me a lot about housing fast, cheaply, and flexibly. You are known for your colorful outfits. How do you decide what to wear? I was brought up with a mother who would wear brightly colored socks when she came to pick me up from school and everybody would laugh. Growing up that way, I didn’t suffer from shock of the new. And then England was very gray and we had to ration. And visually, the British don’t have a very good color sense to begin with, great ear, good at writing, we all have different strengths…. But I come from a country with a lot of color all around me. I’ve always enjoyed color–like public space–although public space is probably better.